Features a lighting board that duplicates the system of tails lights for extra safety on the road during nighttime. Includes an adapter to fit a wide range of vehicles. Designed for transporting up to 4 bicycles at a time, the Sparkrite 4-Bike is an ideal solution for big families, all loving cycling. Features all needed essentials and features to ensure that the transportation of bikes is safe and comfortable. Thanks to the arched design, this rack fits over most boots and vehicles with spoilers. Has rubber feet to protect the interior of your car from scratching and peeling. Might obscure the rear window view. The carrier that boasts very solid build and may easily last you for years. Available in several colour options. An ideal choice for owners of minivans, hatchbacks, and those wishing to carry bikes on boots of their cars. 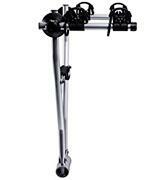 The self-adjusting frame holder makes bike loading easier. 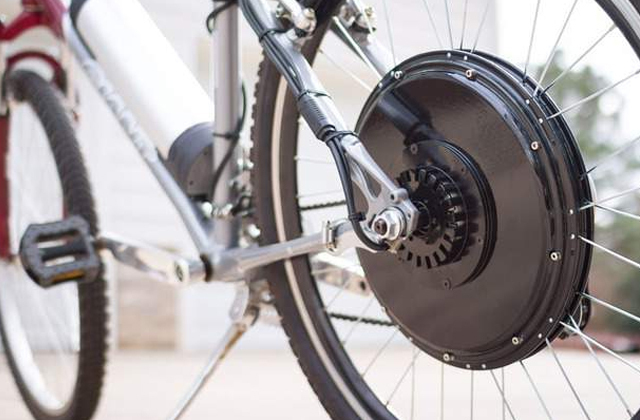 The carrier locks to your car and bike with a single key. You might hear the rack bumbling against the roof when you drive fast. 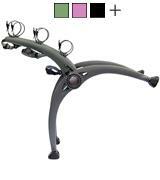 This is one of the most reliable and heavy-duty roof-mounted bike racks that you can find on the market as of today. If you have a road bike or a mountain bike, buying this rack is your only right choice. 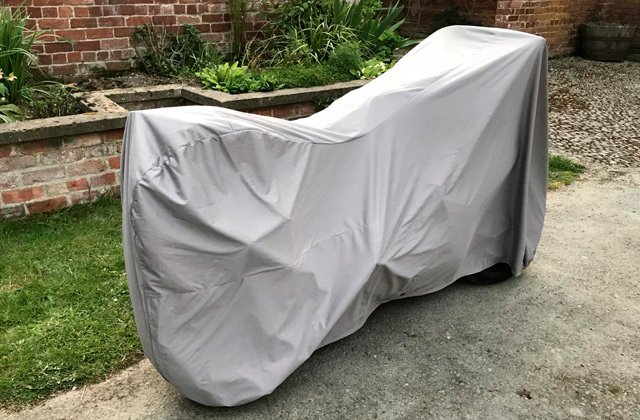 The patented frame support absorbs shocks and keeps your car and bikes safe. The racks hold cycles high so that they don't obscure the car tail lights. 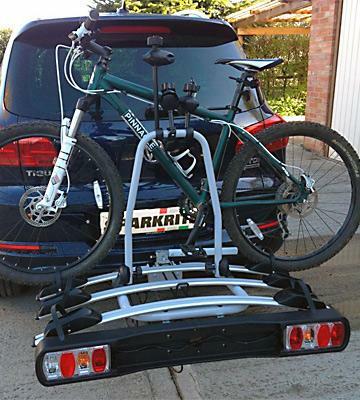 This steel shockproof bike carrier is perfect for carrying heavy mountain bicycles. Fastening the rack and bikes is effortless and quick. 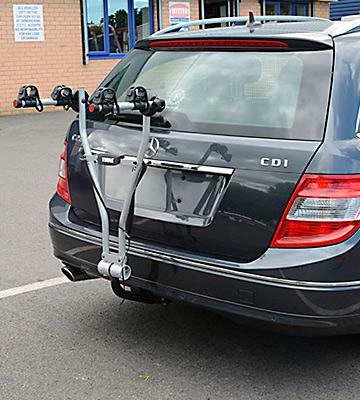 For owners of compact MPVs, this bike carrier will be the best option to go with. 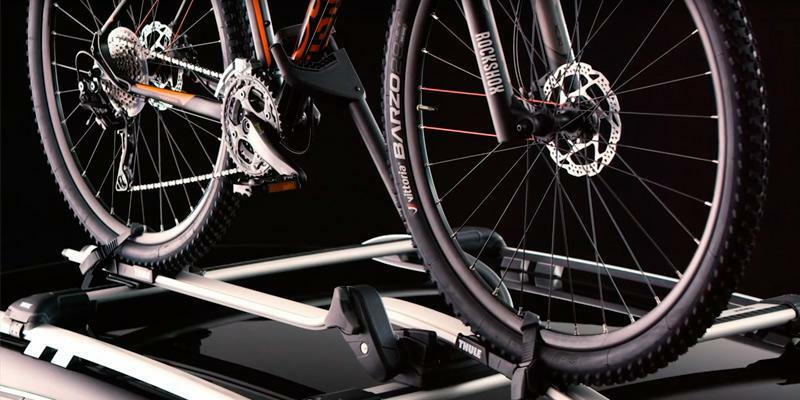 The rack accommodates bikes compactly and securely. The soft grip locking lever adds to the comfort of use. Doesn't include any additional fasteners. The Thule 970 Xpress is a versatile foldable carrier for daily use. 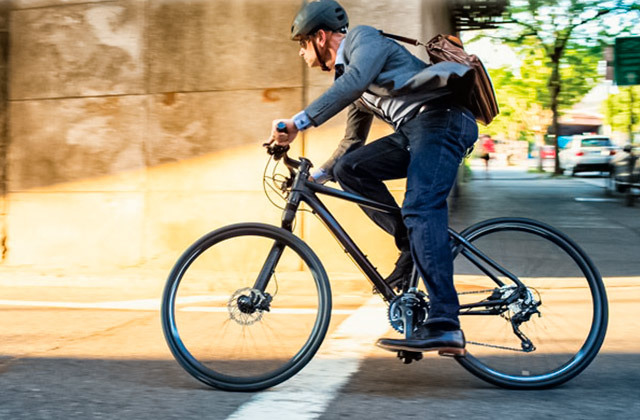 It will help carry most bike types, including mountain bikes, women's bikes, and BMX models. Family car rides can bring a lot of joy and fun, especially if they also involve some exercise and cross country cycling. 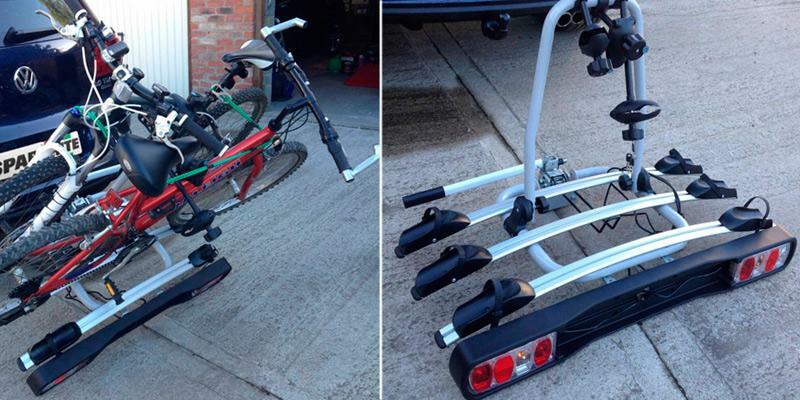 If that's what you planned to do on your next weekend trip, make sure to equip your car with the Sparkrite 4-Bike rack. This rack's able to carry up to 4 bikes at a time and it employs durable wheel support with straps and a reliable key lock system. The rack itself attaches to a tow bar with a locking level mechanism and stays securely in place even if you drive off-road. 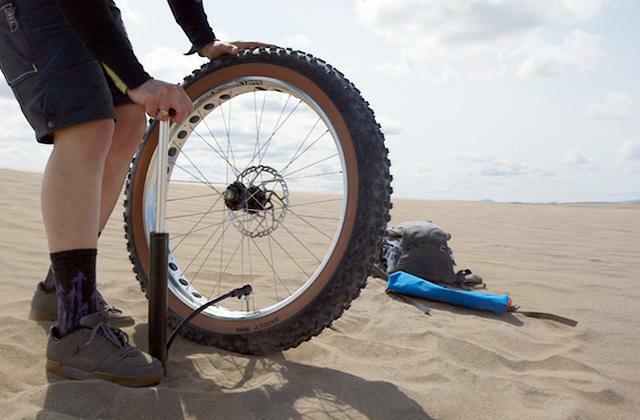 Equipped with a 13-pin plug, the Sparkrite 4-Bike is easy to mount on your vehicle. Even if your vehicle has old electrics, you should be able to adapt it to the rack with a free adaptor included. What's more, it features a lighting board that duplicates the system of your vehicle's tail lights; every time when you press the brake pedal, the rack will light up visually informing the drivers following close behind you of your next move. 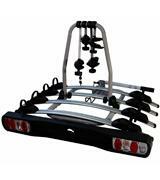 Drive safely and comfortably with the Sparkrite bike carrier. While if you need to leave your bike on the street, make sure to secure it with a special lock for bikes. If you have a car and a bicycle and you're looking forward to spending your vacation in the woods, cycling bike paths away from the city hustle, with the Saris Bones trunk rack, you'll be able to make this little dream of yours come true. 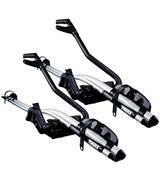 The Saris Bones 3-Bike boot rack looks pretty small, and yet, its loading capacity allows a user to carry whole three bikes at a time. Made of 100% recyclable rust-resistant plastic, the rack doesn't seem to rust or decay, even if it is used extensively all year round. The arched design of the rack fits over most spoilers and perfectly attaches to boots of the rest of cars. The ratcheting anti-sway straps make it easy to secure bikes to a vehicle, while the rubber feet of the arcs prevent the interior finish from scratching and peeling. So what you get is a very simple-to-install bike rack to transport up to three bikes securely and comfortably that will serve you easily for years. 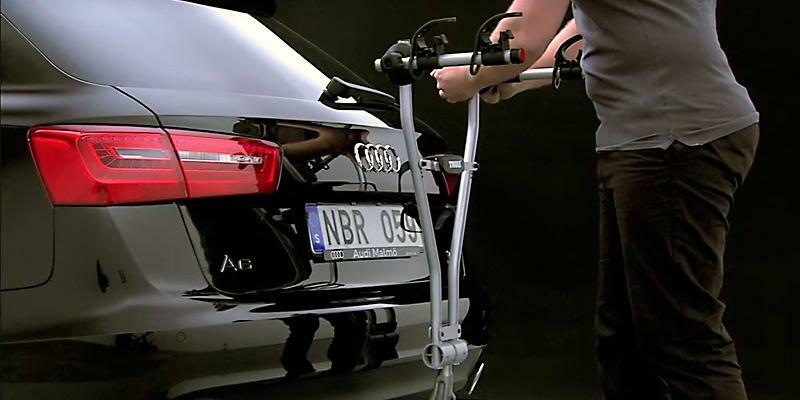 For many years the Thule Group has been specialized in transportation solutions designed to facilitate for owners of cars and trucks to carry their bikes with them. The ProRide rack, which we've decided to include in our review, is one of these solutions. It's roof-mounted, and it's so easy to install it everyone should be able to do it without assistance. 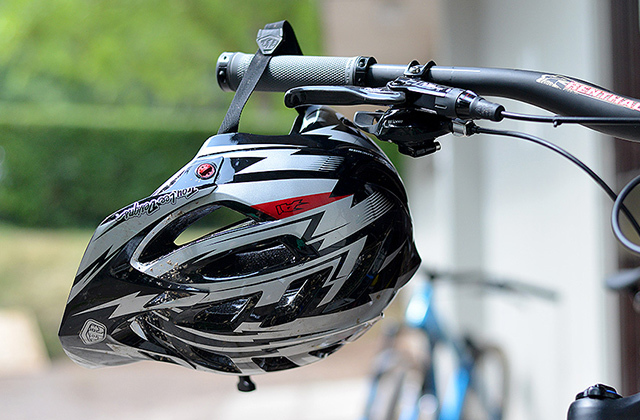 The rack has a single-handed swing bar that keeps a bike firmly in place and features a safety lock for securing a bike on the roof. With regards to the rack design, it's made of cast aluminum and it boasts sufficient capacity to hold quite a bulky bike. 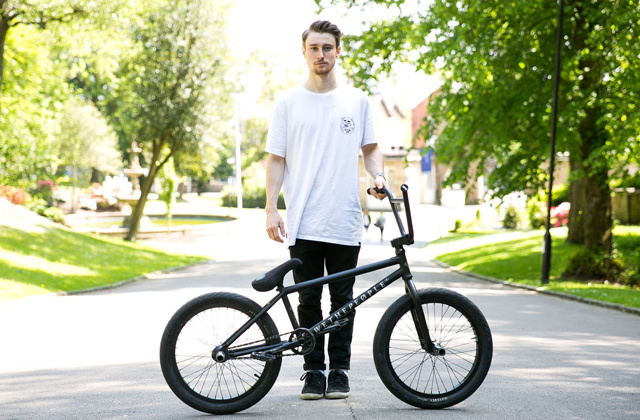 The quick-release straps fit a wide range of wheel diameters, including huge wheels of mountain bikes. The best of it all, however, is that the package includes not one but two carriers, which means, if you need to, you can transport one more bicycle with you (your kid's, maybe). When transporting a bicycle, especially over a long distance, safety is a number one concern for many users. 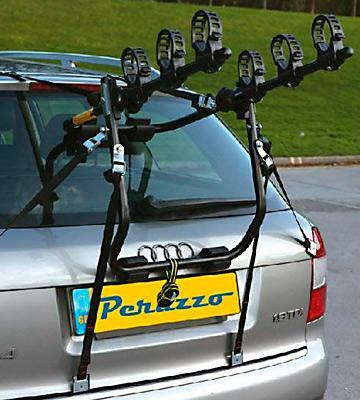 And if you haven't decided yet which of multiple bike racks is right for you, we'd like to offer you to consider this universal Peruzzo Verona rear bike rack. The biggest advantage of this rack over many others is that it fits almost all cars and can be used for transporting just about any bike types. Designed with 3 pairs of bike cradles, it also enables users to carry up to three bicycles at a time. 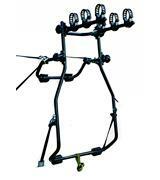 The rack features anti-bounce system of fastening straps that ensure extra safety and comfort during transportation. However, the assembly of the rack might take you some time. 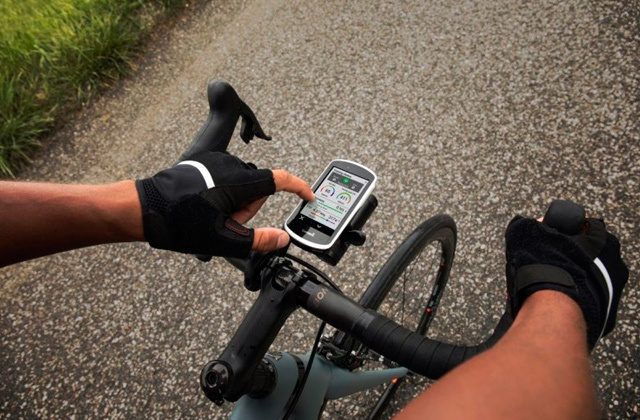 If you love cycling through a broken terrain pushing yourself to your own limits, it's crucial that your bike is fitted with deep tread tyres of very good quality. If you seek a convenient way of transporting your bike by car, the Thule 970 Xpress is one of the best models to consider. This rack is incredibly easy to mount, all you need to do is put it on the tow bar of your car and push the lever down until it snaps in place. The rack fits bike frames of all sizes and can hold two bicycles 15 kg each. With that, the weight of the rack itself is only 4.3 kg, which ensures that you'll be able to quickly install it and remove for storage. Besides hassle-free installation, the Thule 970 Xpress is distinguished by its very attractive and stylish design. 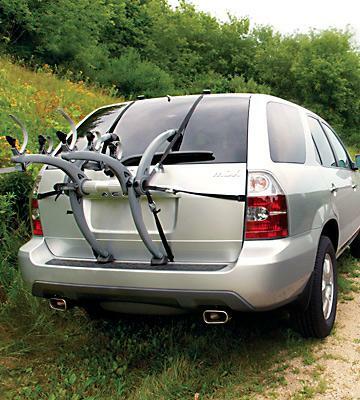 So, if you want to travel with comfort and in style, the Thule 970 Xpress bike rack is the one to go for. There are many reasons why people use bicycles. 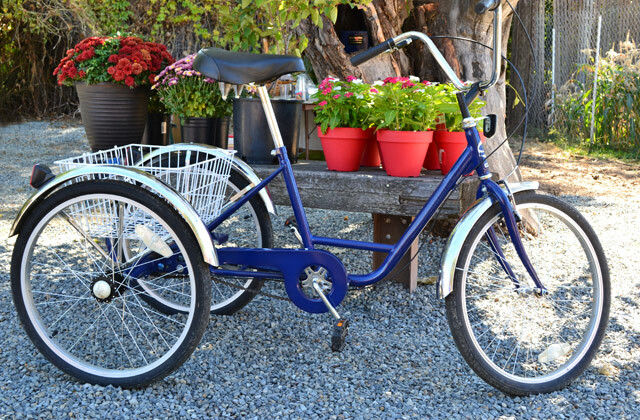 Bicycles require very low maintenance, they provide mobility, they don’t produce any exhaust emissions (unlike cars that burn gasoline), and they can also help lose weight and improve a rider’s overall health. 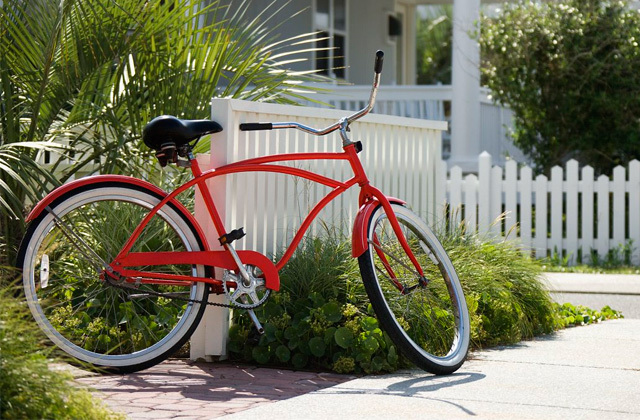 For a lot of people, a bicycle serves as a second car that they use to commute in urban areas during weekends. Others take it more seriously and ride it for exercise. The issue all people riding a bike face sometimes is transporting it to different locations. If you’ve ever tried carrying it in the trunk of your car, you know first hand how inconvenient this can be. Besides, carrying it there, you’re likely to scratch or damage its interior at some stage. 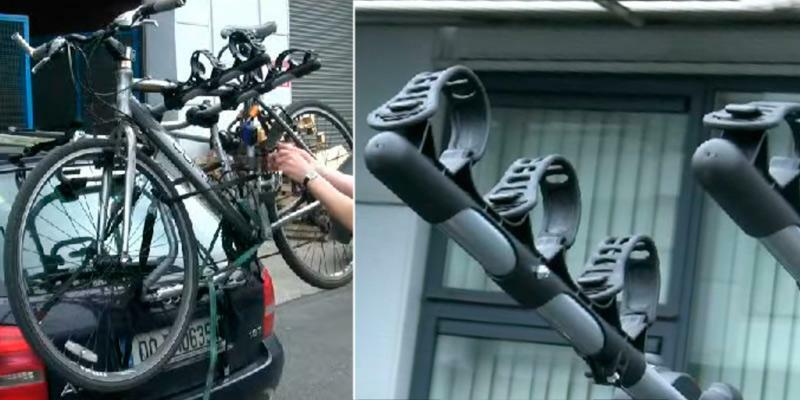 Therefore, designers have offered a new and convenient solution for transporting bikes over long distances, which now anyone can purchase and mount on their cars - a bike rack. In this review, we offer you to take a look at the five most popular racks for transporting bikes, among which you can choose the most suitable one for your vehicle. 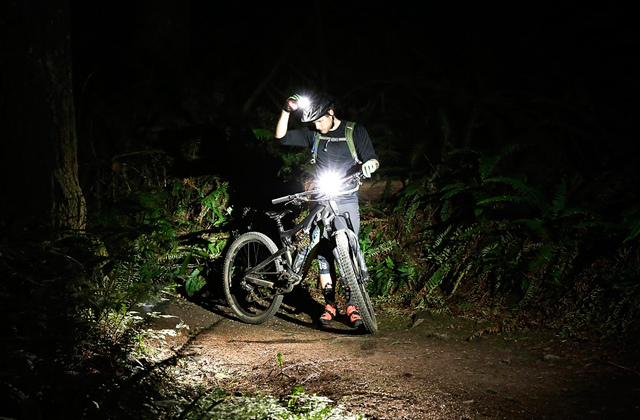 If you want to make riding your bicycle more comfortable, you may look at sports glasses review. Roof racks. These racks are probably the most widespread. 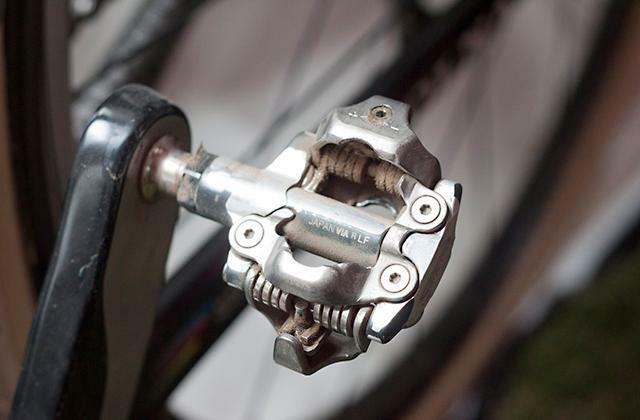 They fit a bike perfectly, keeping it fastened with adjustable clamps, with its wheels being fixed in a wheel channel. Towbar racks. Installing a bike on a towbar rack is much easier than on any other rack. Besides, towbar racks are designed for carrying several bikes at a time. Boot racks. These ones should be chosen with accordance to your vehicle's brand and make. As a rule, manufacturers specify the brands of cars for which the racks work best, so you can choose the one that will fit your vehicle perfectly well. Some of the boot racks are designed specifically to fit hatchbacks while others may be more multipurpose and versatile. Spare tyre racks (for jeeps and minivans). These racks work best for vehicles with rear spare tyres. They comprise the benefits and advantages of the above-mentioned racks and they don't block the access to the rear part of a vehicle. With this rack, a bike is secured to a tyre with durable straps. Truck bed racks (for pickups and small trucks). These racks are installed right in the truck. If that's the type of rack you want, make sure that it fits perfectly the width of your vehicle's truck. Design and dimensions are the parameters that must be considered. The material of a rack is crucial. Currently, we have different models made of steel, aluminium and plastic or a combination of both materials which make it lighter. If you are looking for a durable, solid frame rack, give preference to a model made of corrosion-resistant material. The next thing to consider is the size of a rack. The weight is also important since it directly determines the maximum carrying load of the rack. Finally, we consider the carrying capacity of bike carriers. Here you need to decide on the type of vehicles you carry. If you have a big family fond of bicycling, you should consider the racks that will let you transport 3-4 bikes at once. Each rack has its own maximum load and the higher it is, the better. The carrying capacity of bike carriers is measured in pounds, and some models are capable of carrying from 100 to 150 pounds. 1. TD Wood Car Racks: How to Choose, REI. June 25, 2015. 2. Curtis Smith How to Choose a Bike Rack, OutdoorGearLab. June 2, 2016. 3. Wally Phillips How To Choose A Bike Rack, backcountry. July 23, 2015. 4. 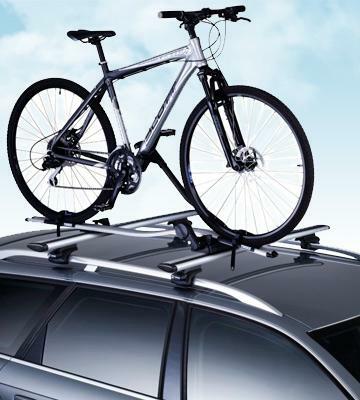 Tips for Choosing the Right Bike Rack for Your Car, Consumer Reports. December 5, 2015. 5. Science of Cycling, Exploratorium. 2016. 6. Joe Bruzek Things to Know Before Buying a Car Rack, Cars.com. September 2, 2011. 7. 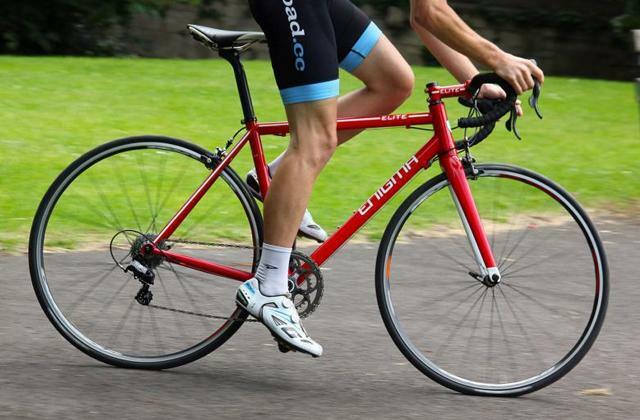 Paul Smith Bike Racks - a Buyer's Guide, BikeRadar. May 5, 2014.